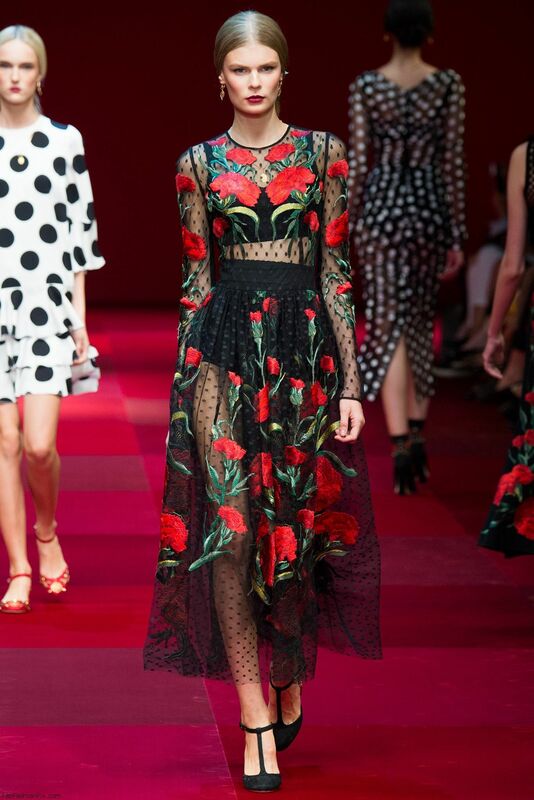 Italian fashion house Dolce & Gabbana presented their new highly anticipated spring/summer 2015 collection at Milan fashion week spring 2015. 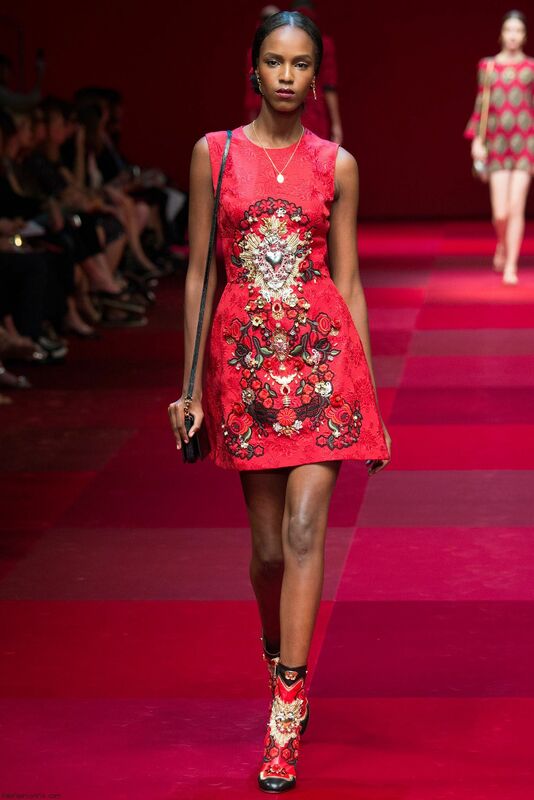 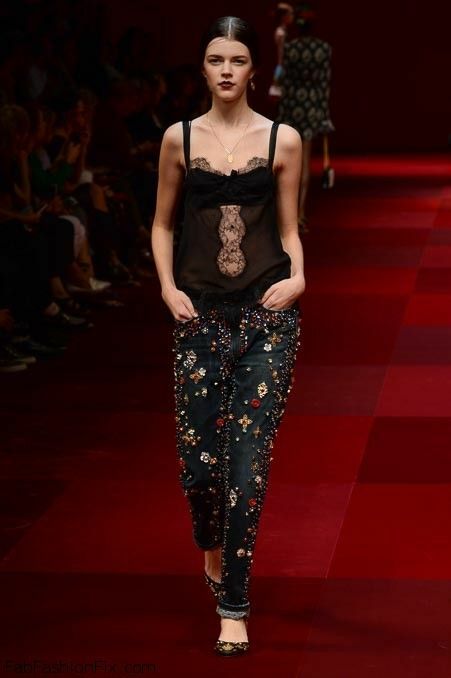 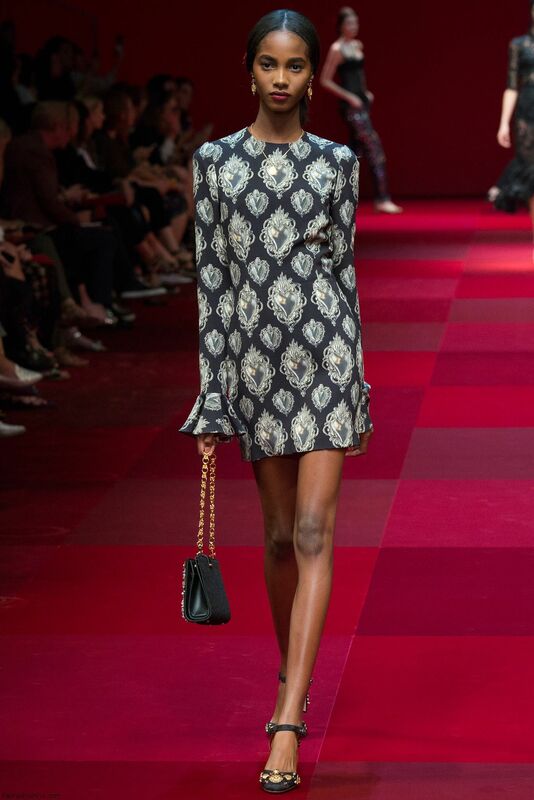 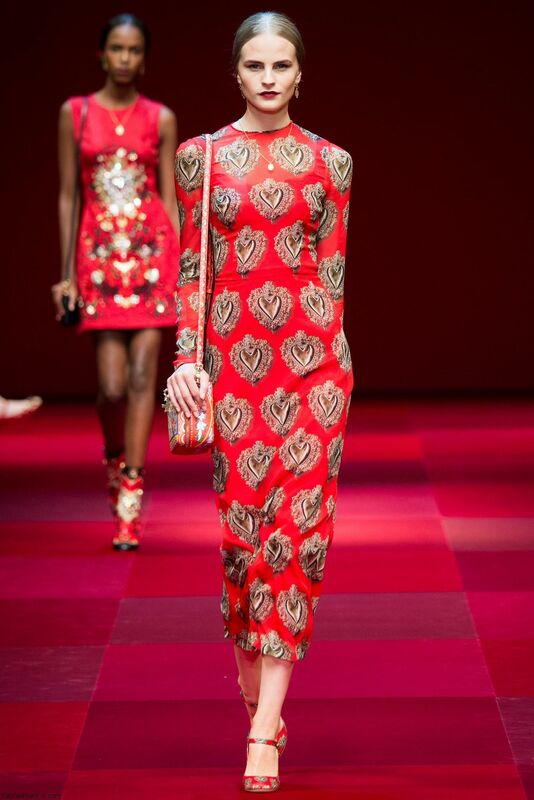 Creative directors Domenico Dolce and Stefano Gabbana found inspiration for this collection in the heritage of the Spanish culture on Sicily’s history.The Sacred Heart is the main symbol of the collection and it is found embroidered or printed on most of the pieces. 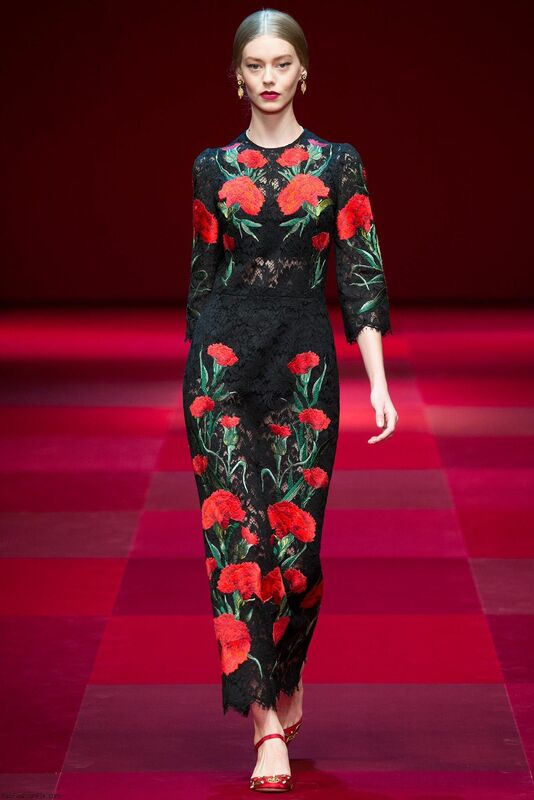 The choice of the carnation was made not only because it is a flower that recalls the Spanish tradition, but also as an homage to Mr. Dolce’s mum, as it was her favorite flower. 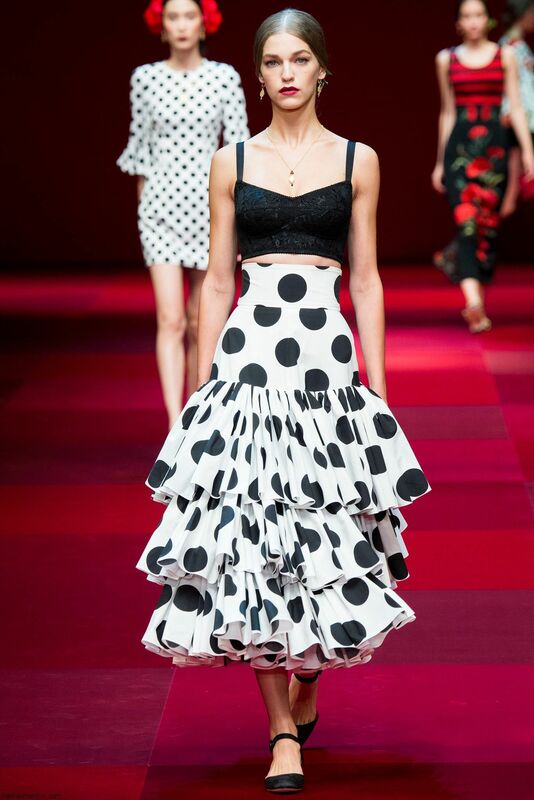 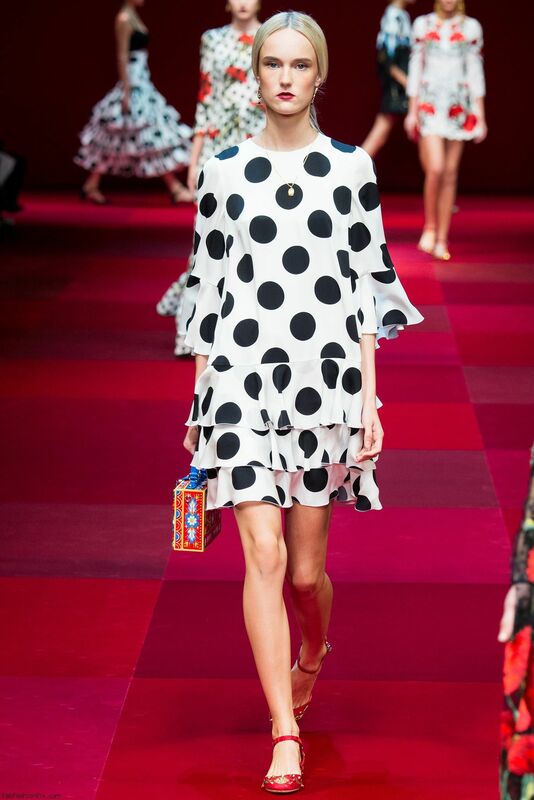 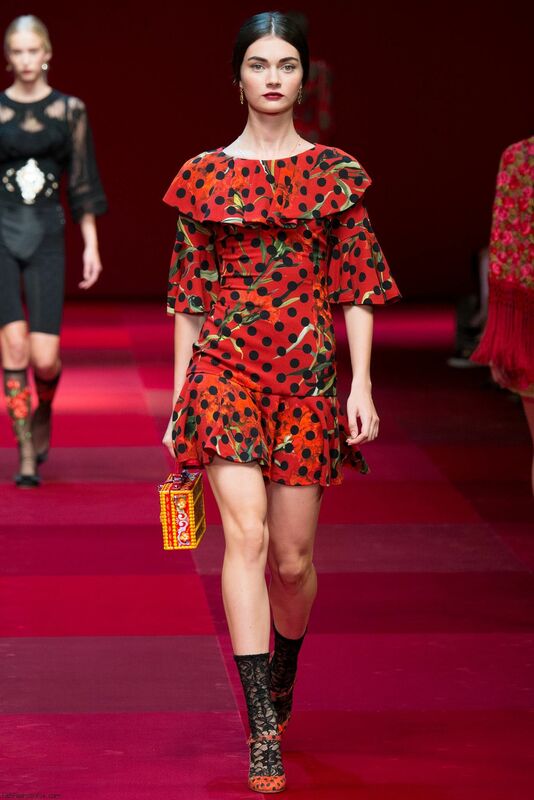 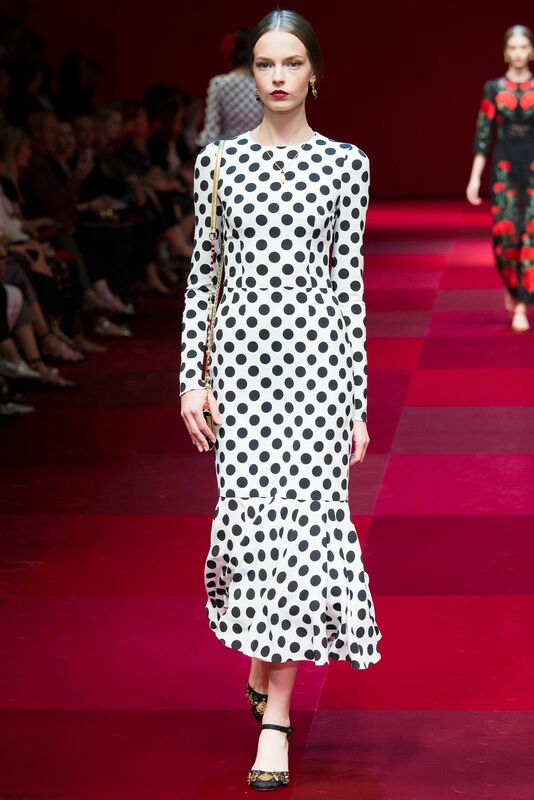 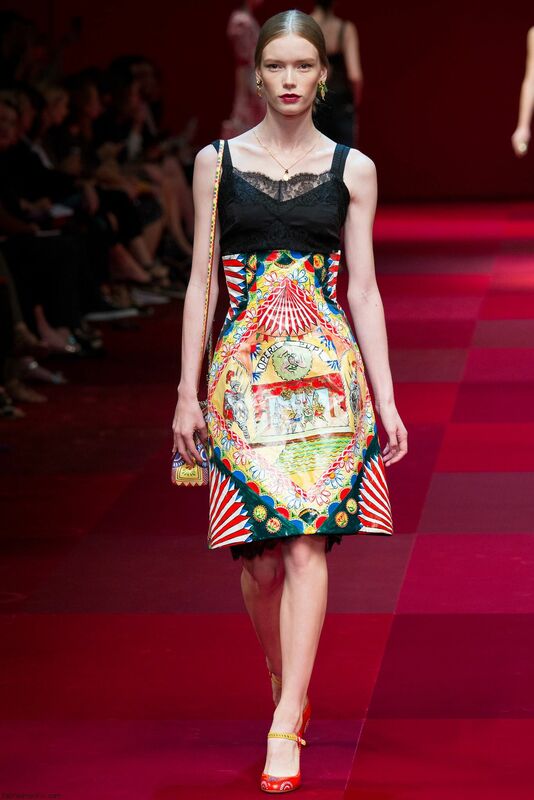 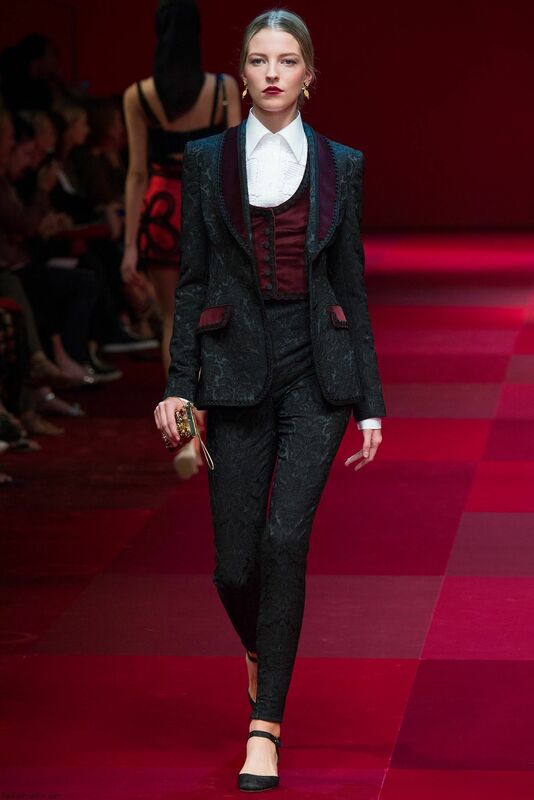 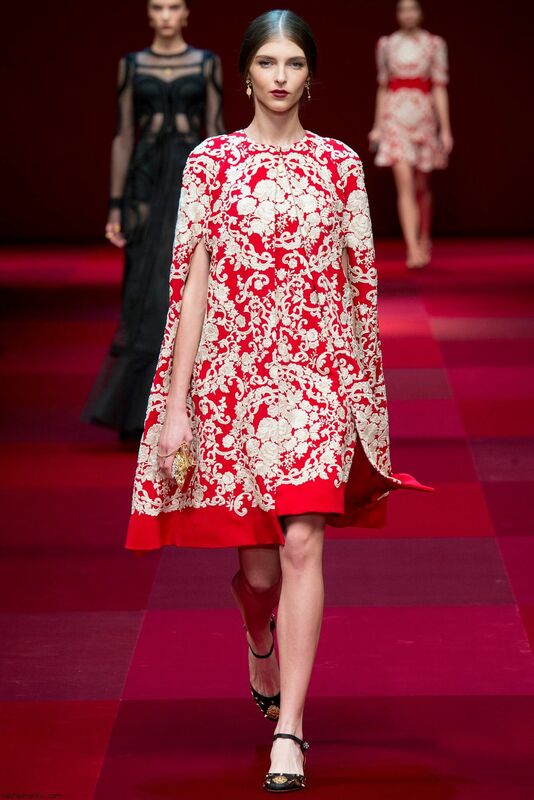 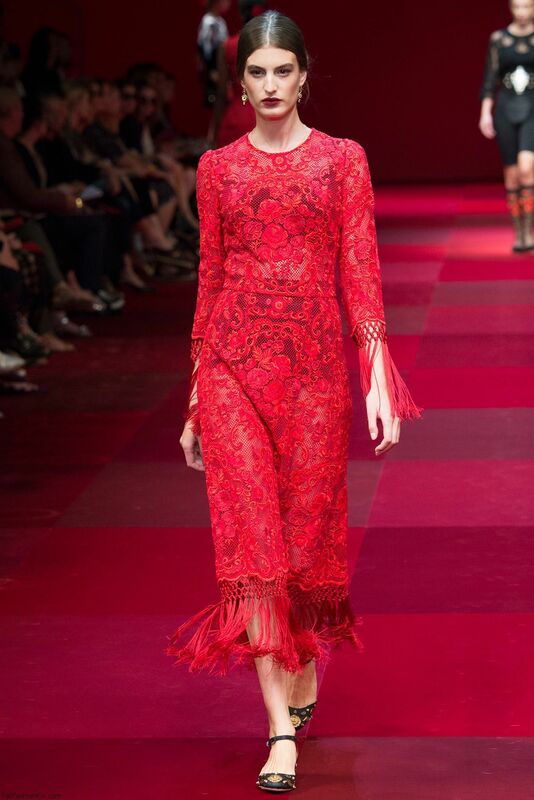 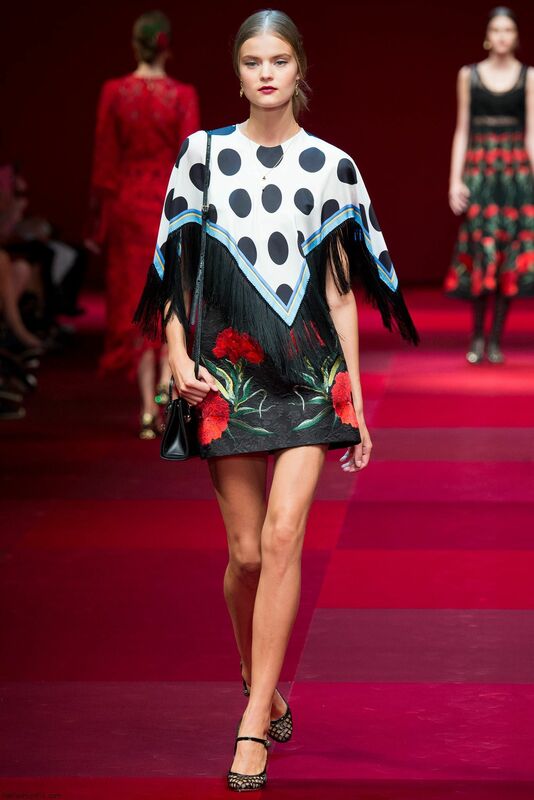 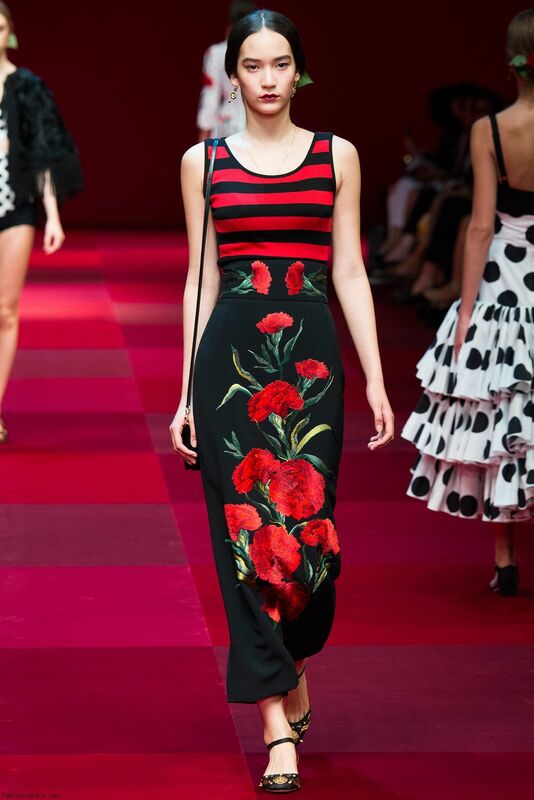 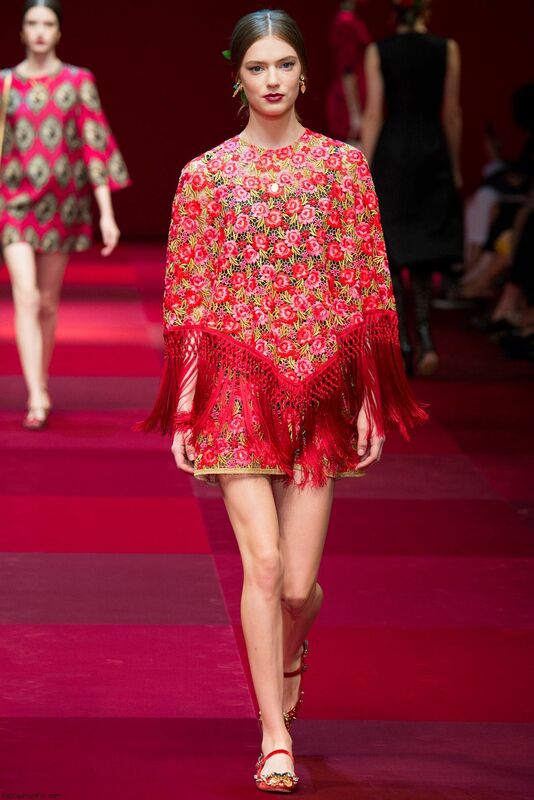 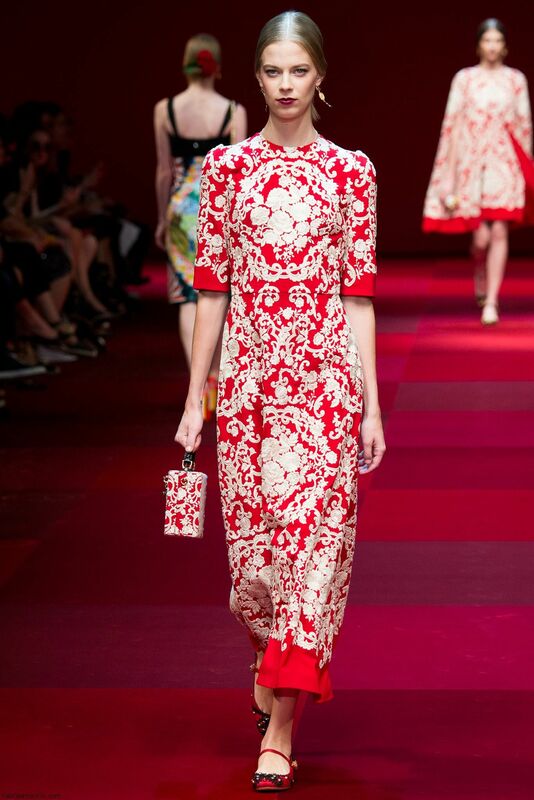 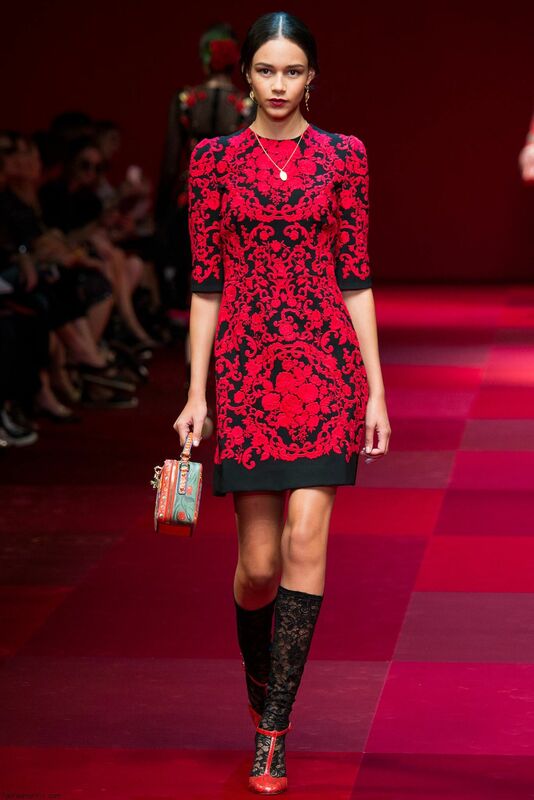 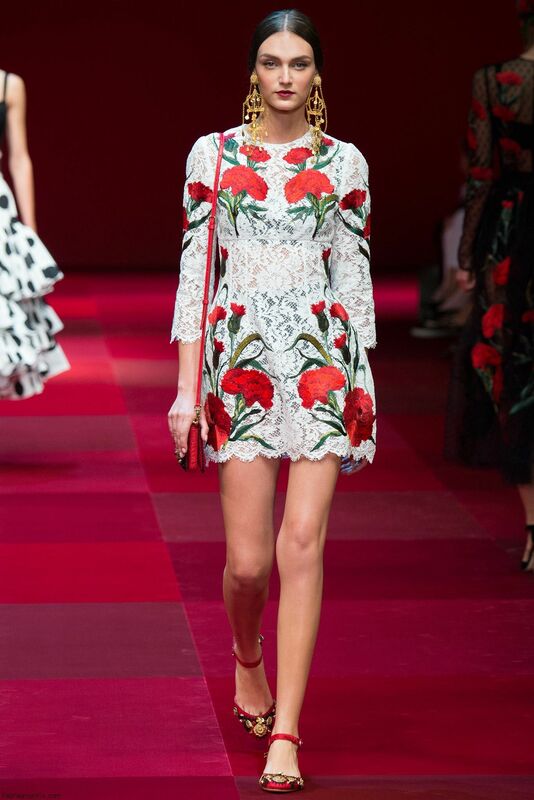 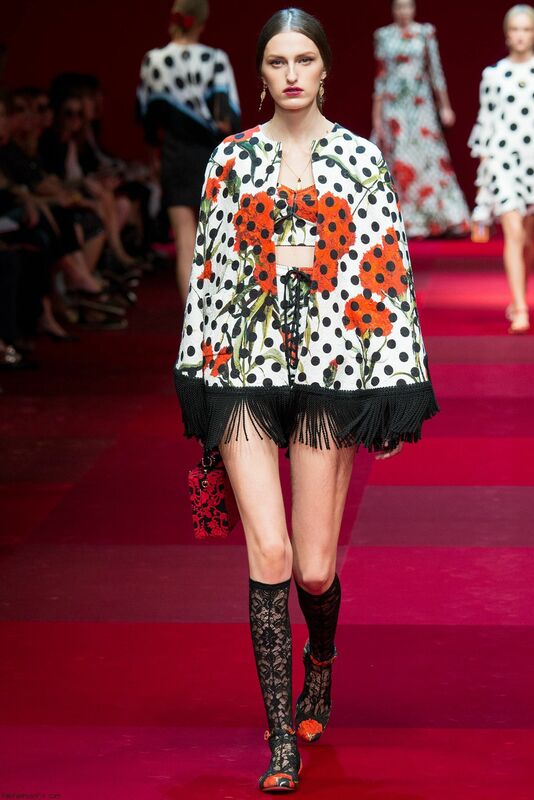 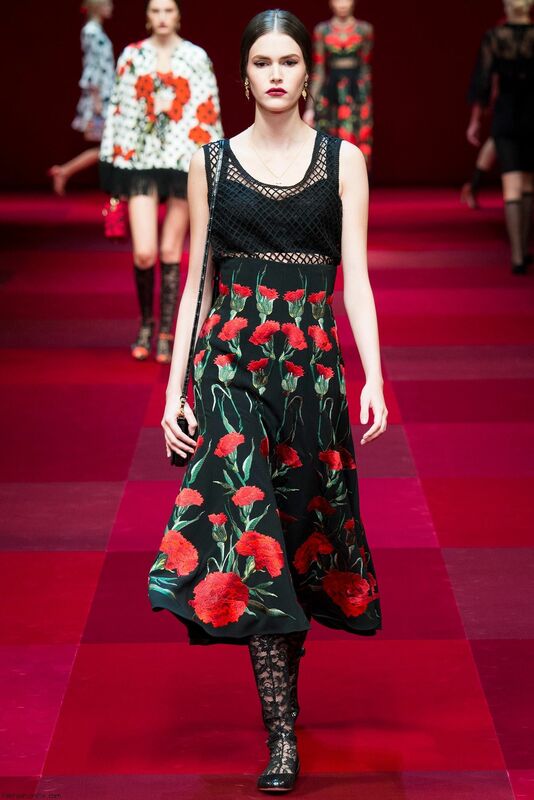 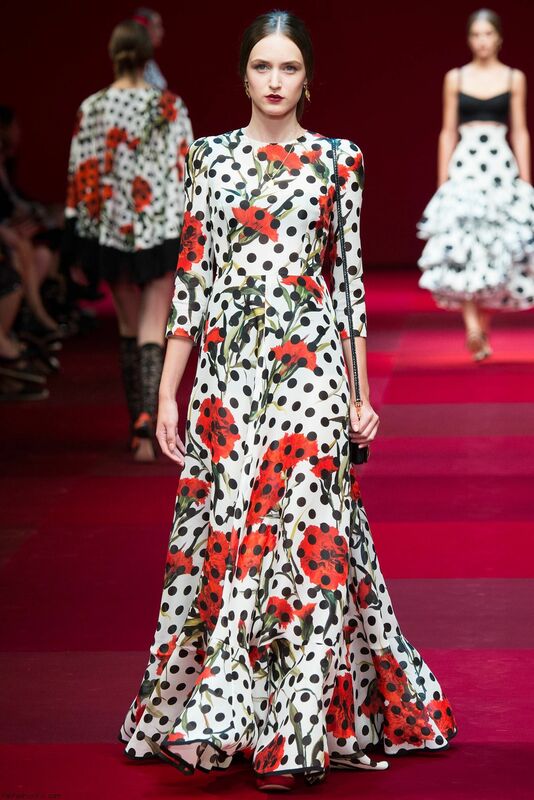 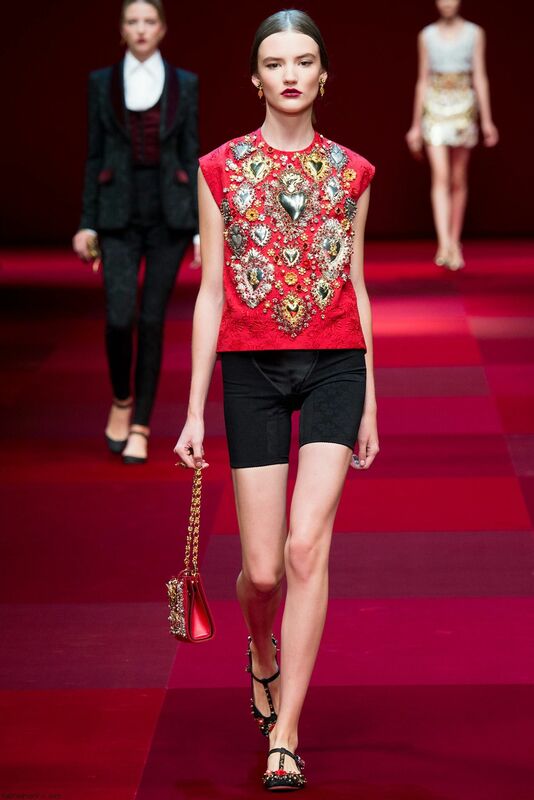 Mr. Dolce and Mr. Gabbana’s challenge was to convey the Spanish influence in a non-conventional and literal way. 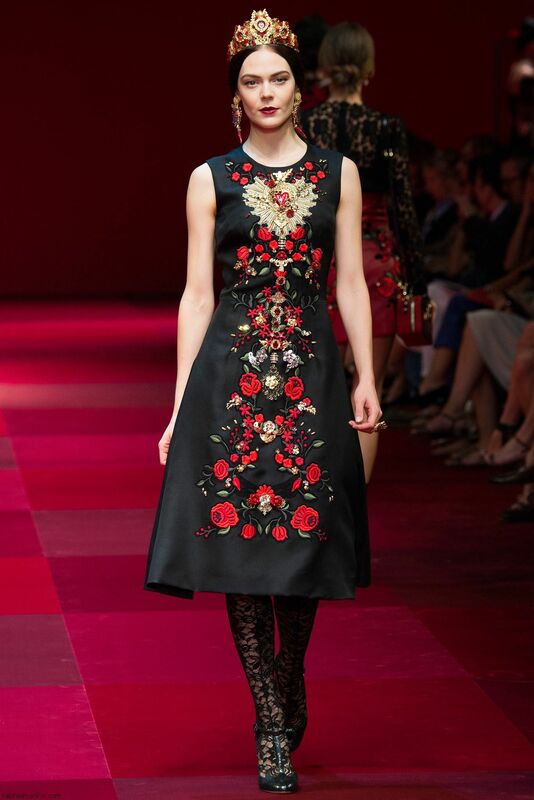 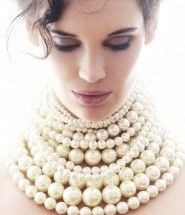 They achieved this thru the use of very simple shapes matched with very rich details and embroideries. 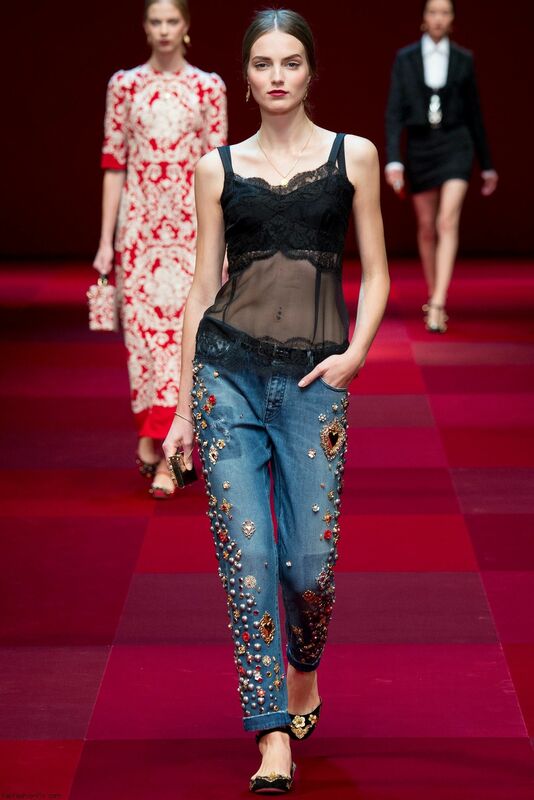 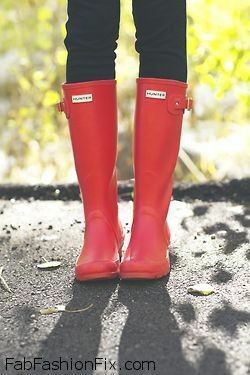 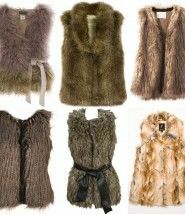 The result is a collection full of joy, love and sexiness.